Hang around Imgur and reddit long enough and you will find photos of Dutch tulip fields popping up with clock-like regularity. The country has long been famed for its flower industry, and the expansive fields of colourful flowers do create a mesmerizing spectacle. When discussed in the same breath as bitcoin, however, Dutch tulips are an insult. ‘Tulip mania’, a phenomenon in the early 17th Century where tulips traded at extraordinarily high prices and then spectacularly crashed in value, is pointed to as a historical analogue of the current controversy surrounding bitcoin. No doubt there are many that furiously disagree with his comments, but it’s ironic that a moment in Dutch history is being used to bash bitcoin, because today the country is a hub for bitcoin innovation. BitPay chose to locate its European headquarters there, you can now get home delivery from around 5,000 restaurants using bitcoin, and a bitcoin-specific point-of-sale system for bars and hospitality was launched by a Dutch company in October. It’s also CoinDesk’s fourth largest traffic source after the US, UK and Canada. The first bitcoin company in the Netherlands was an exchange called Bitonic, which launched on 1st May 2012 by a trio of high-school friends, Jouke Hofman, Niels van Groningen and Robert de Waard, with a shared passion for programming and games development. Frustrated with trying to trade on international exchanges like Mt. Gox, they wanted to build a native, home-bred system. Bitonic now trades around 300 to 400 BTC per day. Although their success was never assured, they had one extremely important factor in their favour: iDeal, a Dutch e-payment platform with a 50%+ market share in the country. “iDeal has a fixed fee and zero chargebacks, so it’s perfect for automated bitcoin trading,” says Daan Kleiman, a spokesperson for Bitonic. Bitonic’s first bank was ING, which took a punt on them when other banks were more sceptical about bitcoin. They now have accounts at three of the four big banks in the Netherlands: ABN Amro and SNS Bank, as well as the aforementioned ING, says Kleiman. Those comments will be familiar to anyone involved with a bitcoin business in many jurisdictions. Resistance to bitcoin, whether pragmatic or ideological, has only been half the story; getting the public to engage too, has been a problem, though one that is far smaller now than it has been in the past. For the future, Bitonic are hoping to launch a peer-to-peer trading platform, but are waiting for a license from the Dutch Central Bank. “It’s technically ready, but we won’t open it up for trading until our licence is approved,” says Kleiman. They aren’t the only Dutch exchange with expansion plans. In January, Bitplaats announced that it was extending its service to Belgium. 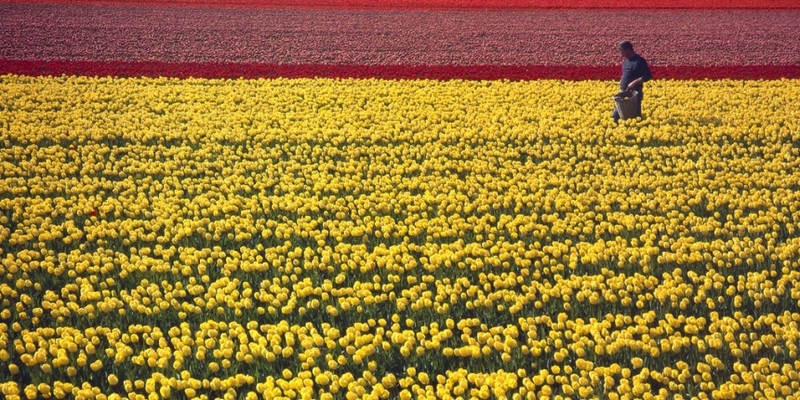 So, the land of tulip mania is now home to another surging trade. If the bitcoin crash fantasies of some come to fruition, the Netherlands will be synonymous again with exuberant folly. However, the likelihood is that a crash will remain a fantasy, and perhaps bitcoin will come to be indebted to Dutch innovation.